Sometimes it is only one speech, one moment in time, and one can feel energized again. Sometimes it is just one speech, one moment in time and all tiredness is gone and one starts to focus again. For me, this moment in time happened this morning at the Plenary Session of the World AIDS Conference. Still tired from the long journey I listened to three keynote speaker which really got my mind going. Introduced by the Nobel Price Laureate Francoise Barre-Sinoussi from France who was instrumental in discovering the HI virus, the Director of the Institute of Allergy and Infectious Diseases at the National Institute of Health (USA), Anthony S Fauci gave an overview where we are standing in the moment and why we are close to turning the tide of HIV/AIDS. He caught the attention of the audience in describing how sciences and community approach must go together and laid grounds how all facets of prevention and treatment, outreach and bio-approach can take the next steps in eradicating HIV and giving a whole new generation a chance to grow up without the treat of the pandemic. Next was Phill Wilson, CEO of the Black AIDS Institute in Washington – black, gay and HIV positive. His charismatic speech described the plight of black Americans – specially also in the Washington area, where the prevalence rate amongst those with dark skin color are as high as in some areas of South Africa. He made it also very clear to the audience what “Obama-care” means for those US Americans without an expensive health insurance. I felt ashamed listening to his very personal stories thinking that the US American Catholic Bishops attacked the new health care system because amongst others family planing is included in Obama’s approach. Was there ever a thought of balancing all the “Catholic question marks” against the benefits for those, whose lives or deaths are depending on this new law? Next Hillary R Clinton, who delivered a clear message that after 25 years and the last World AIDS Conference held in the USA in San Francisco her country is now more than ever committed to turn the tide and assist in having a next generation without fear of HIV and AIDS. She also declared her very solidarity to Melinda Gates and announced additional funds of her government for family planing but also circumcision and other projects. All speakers the morning made it clear that the moment has come to combine all efforts to push the syndrome back, to use all tools to reduce the transmission to the magic “zero”. But also all acknowledged that there will be still quite some time till this goal is reached. But until then, those lesser and lesser in number, who get infected in the coming generation, should be able to receive treatment and support without any discrimination or stigmatization. 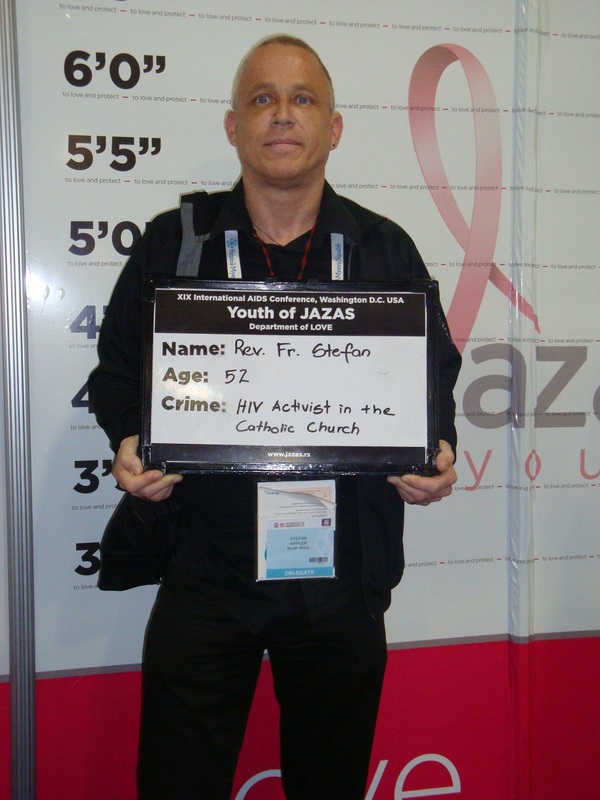 And it was made clear that this means that all involved from community outreach via faith-based organizations till governments to reflect how one deals with those most in danger of contracting HIV: gay people, drug addicts, prostitutes. And the question remained open during the rest of the session as a challenge to all concerned: What does it mean to go into those fields many people feel uncomfortable to speak about? And specially for me as a Catholic priest remains that question: How do we deal with those moral minefields in today’s atmosphere of theology and pastoral care? Turning the tide – now..